I like fresh healthy food. Not "diet" food or "health" food, but good old American fresh healthy food. Certainly not perfect nutrition. Not a diet food diet. But what I call a Foolproof Nutrition diet. It's what I have always eaten. As a result, eating this way is as natural for me as taking a breath of air. Would you feel deprived eating this way? Can you think of a more friendly or healthier way to lose weight? Ate in restaurants 18 times in 28 days. Consumed 66 cups of coffee in 28 days. An average of 2.3 cups per day. Thirteen servings of seafood. Four catfish, three shrimp, three salmon, herring, lobster and crab cake. An average of 3.25 servings per week. 44% of total calories were consumed before 1:30 p.m.
Breakfast, sweet smoothie, iced tea, coffee, chocolate and green tea were daily constants. No health food such as hummus, tofu or soy foods. No artificial sweeteners, no “sugar free” no “diet” foods. Plenty of sugar, butter and salad dressing. Ample servings of fresh vegetables. Twenty-eight, 120 calorie Lammes Dark Chocolate Longhorns. Three trips to McDonald’s, three barbecue joints, Chuy’s Tex-Mex and a visit to Red Robin. I consumed 26 breakfast sweet fruit smoothies in 28 days. Each smoothie contains a serving of 2% milk, non-fat yogurt and an assortment of fresh fruit including strawberries, blueberries and peaches. In addition to my daily fruit smoothie I consumed the following fresh raw fruit almost exclusively for snacks and breakfast. My diet diary proved many things. My diet is remarkably consistent from week to week. A product of habit not forethought. I didn’t eat seconds. Fiber was important and I ate breakfast everyday. Snacks were used for nutritional improvement allowing more margins for meals. Vegetables were present at 80% of my lunch and dinners. No intelligent person would classify my 28 day diet ideal. Or even a weight loss diet for that matter. Yet I did not gain one ounce for the entire 28 days. You don’t have to eat an endless succession of chicken salad sandwiches and dry salads to lose and maintain ideal weight. On the contrary, you can eat a filling diet of delicious food and maintain ideal weight. Frankly, only the morbidly obese, food addicted lost soles would complain about this diet. Not because of the food, but the amount. My 28 day diary has been ridiculed by the food police and diet lifers. Servings are too big, the food police declare. While diet lifers argue they need 5,000 calories a day. Whatever your opinion there is one thing that cannot be argued. I’m 54 years old. My weight has not fluctuated more than ten pounds since I was 23. I have never been fat. I’ve been eating this way my entire adult life. I put a premium on physical activity and walk daily. Those are the facts. Maintaining my ideal weight isn’t something I think about or pursue. It’s automatic. I read labels. I eat breakfast. I walk. I make smart food choices. Prepare food well and don’t overeat. None of which requires any effort or self deprivation. I learned many things by keeping a 28 diet diary. I drink too much coffee. I could easily add more raw vegetables and whole grains to my diet. The biggest lesson stood out like a skyscraper in the middle of a desert. You don’t have to starve or eat roots and hummus to maintain your ideal weight. My diet proves you can eat a super healthy diet that is filling, boosts metabolic efficiency, tastes great, offering a wide variety of quality food plus a reasonable amount of unapologetic junk that tastes good and offers comfort. What more could you want? Really! Name a better alternative… You can’t because there isn’t a better alternative. Nonexistent. Easy Weight Loss Tips #2 -- Don't eat seconds. Get enough filling fiber throughout the day and you won't want seconds. Easy Weight Loss Tips #3 -- Be consistent. That's how good eating habits are developed. Consistency will eventually lead to eating from a subconscious, automatic reflex. When you eat healthy food from habit, NOT because of a forced diet, you are living a naturally thin life. Easy Weight Loss Tips #4 -- Don't go on any diet that forbids your favorites or is a strict starvation regime. It will fail. Easy Weight Loss Tips #5 -- Start eating high fiber snacks like fruit and nuts. It fills you up and dramatically reduces cravings. Easy Weight Loss Tips #6 -- Eat some sort of quality vegetable at every lunch and dinner. Easy Weight Loss Tips #7 -- Take your time. There is no hurry to lose weight when weight loss is comfortable and free of hunger and cravings. Easy Weight Loss Tips #8 -- Eat breakfast everyday. Combine fruit, dairy and fiber for the best breakfast. Easy Weight Loss Tips #9 -- Cook fast good and simple meals. You eat at home more often and you eat better. Easy Weight Loss Tips #10 -- A homemade sausage pizza may have 80% less calories than store bought and 50% less calories than take out. It's cheaper, taste better, made with higher quality ingredients. You can eat more pizza for the same calories. Easy Weight Loss Tips #11 -- Toss bag snacks. I don't forbid foods to my clients but I have not known a single successful weight loser who didn't make significant changes to their chips, dip, soda and beer snacks. Easy Weight Loss Tips #12 -- Eating diet food is not necessary to lose weight and causes eventual weight gain. Easy Weight Loss Tips #13 -- Eat the same way to lose weight you will eat for the rest of your life. It makes it easy. Easy Weight Loss Tips #14 -- Diet food is not healthy food. Deprive yourself of your preferred foods and what happens? You crave them. How healthy is that? Easy Weight Loss Tips #15 -- Check out your Preferred Foods list and preference ratings on page 91 of Cure Diet Disease With Invisible Weight Loss. Hundreds of fresh foods in thousands of meal combinations are possible. Easy Weight Loss Tips #16 -- Identify your biggest dietary downfall, like soft drinks or fast food, then correct it. Easy Weight Loss Tips #17 -- All or nothing diets fail. Use simple math to figure out how many calories you need to reduce everyday to reach your ideal weight. Then reduce those calories from your current diet. 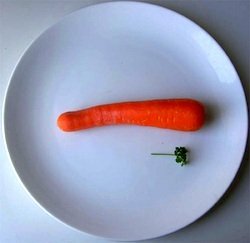 An insignificant 100 calorie a day reduction equals a ten pound per year weight loss. This concludes my 28 Day Diet Diary Analysis. Now ask yourself honestly, how hard can it be? Reduce calorie intake a mere 300 calories per day and lose 31 pounds in a year. Foolproof Weight Loss works because it's simple and doesn't leave you craving favorites or hungry from starvation. Smart, easy and a lot less money than perfect portions delivered to your door. Go to 28 Day DIET DIARY - 1st WEEK.